Italian postcard. Caption: Both thought they heard a scruffing of feet in the closet. 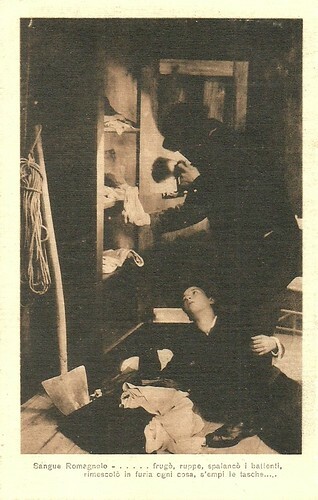 Italian postcard.Caption: He searched, smashed, threw open the drawers, messed anything in fury, and filled his pockets. The Italian production company Film Artistica Gloria adapted in 1916 some stories from Edmondo De Amicis' popular book Cuore about the life of nine boys in a school class in the city of Turin. Earlier, we did a post on Dagli Appennini alle Ande/From the Apennines to the Andes (Umberto Paradisi, 1916). The book Cuore had been a great success because the characters of the stories were from various parts of Italy, giving a strong hint to the unity between the various regions of the Kingdom, both culturally as well as politically. 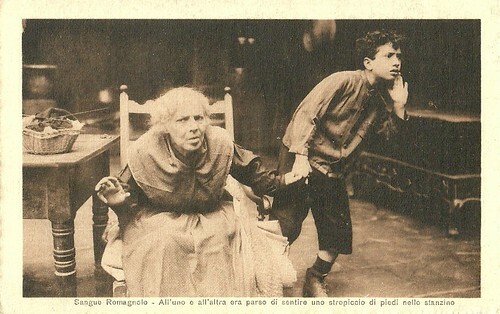 In the short silent film Sangue romagnolo/Blood from the Romagna (Leopoldo Carlucci, 1916), Luigi Petrungaro plays Ferruccio, a boy from the Italian Romagna Region. One night young Ferruccio is mischievous but not really bad. Wrong companions extort money from him. He returns home late while his parents are away. Only his grandmother is at home who accuses him of 'killing her' with his bad friends. Suddenly they hear noise and discover two burglars. While one grabs the old woman by the throat, the other makes Ferruccio tell where the money is hidden. When leaving, one bandit loses his mask and the others recognize him as one of Ferruccio's mates. 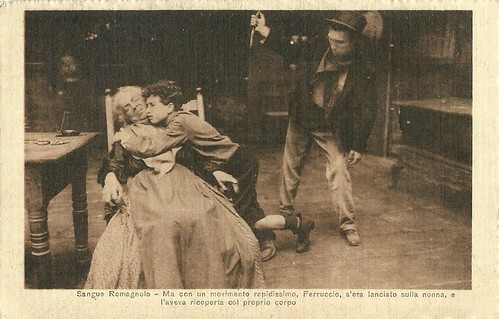 He wants to knive the woman but Ferruccio throws himself before him and receives the fatal knive wound. The Cineteca Italiana has preserved Sangue romagnolo (1916) and you can view the whole film at their website. Strangely enough it seems a totally diferent film: different setting, different actors. 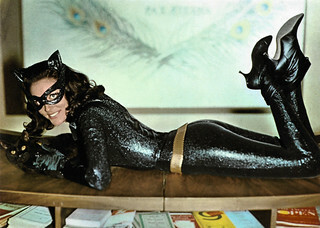 Were two versions made by Film Artistica Gloria? 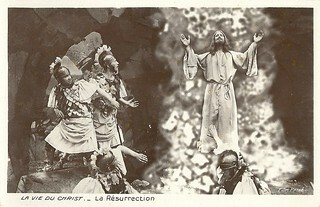 The postcards are definitively made for the Gloria production. Who can solve this little mystery? Italian postcard. 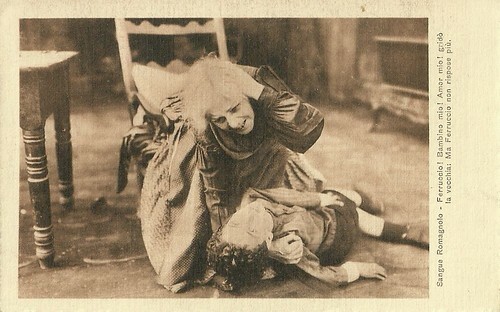 Caption: Damned woman, the thief shouted when recognized, you will die! Italian postcard. 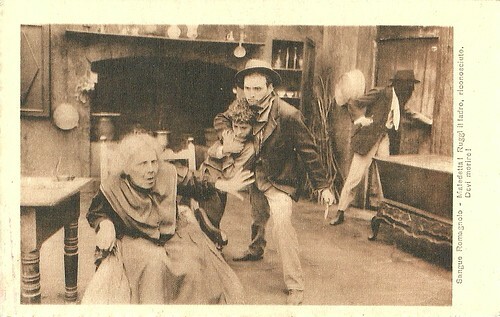 Caption: With a most rapid move, Ferruccio threw himself in front of his grandmother and covered her with his body. Italian postcard. Caption: Ferruccio! My child, my love! the old woman cried. But Ferruccio didn't answer anymore. In 1984, director Luigi Comencini remade Sangue romagnolo as an early silent film for his series Cuore/Heart for the RAI television. Source: Doncamillof (YouTube). 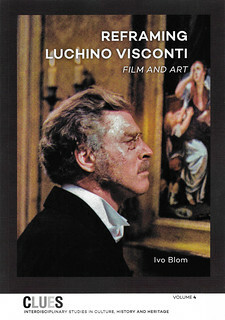 Sources: Fondazione Cineteca Italiana, Wikipedia (Italian) and IMDb.